Mich & Jo: Chic earrings! 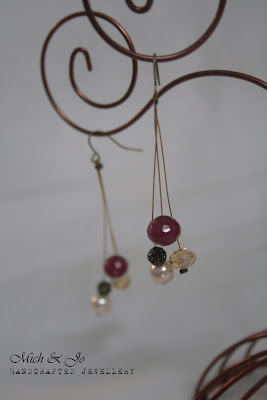 Red garnet stones with glass bead & faux pearls. 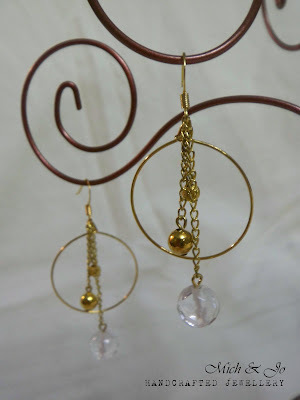 Clear glass & gold metal beads with gold hoop. 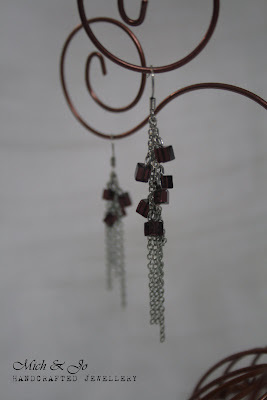 Purple cube glass beads on silver chain. One side is 3" long with 6 beads while the other is 2" long with 4 beads.